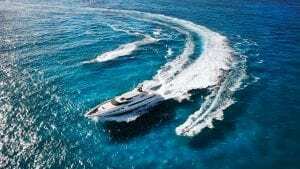 Yacht racing regattas and superyacht charter often go hand in hand and for good reason – the weather conditions to produce great racing also produce wonderful cruising. Following this winning formula, the Hamilton Island Race Week will return to the Whitsunday Islands from the 18 to 25 August 2018 coinciding the peak superyacht charter season for the region. 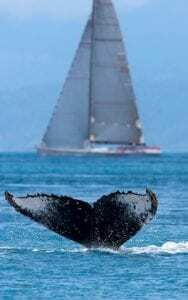 Those looking to charter in the Whitsunday Island and Great Barrier Reef during this time can also catch the excitement of Wild Oats XI race against leading racing syndicates whilst the humpback whale migration happens around them. 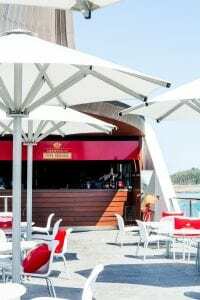 It is not all serious racing as there are a number of events on Hamilton Island including dinners hosted by leading Australian chef, Neil Perry; Piper-Heidsieck Champagne lunches; and the Paspaley Pearls beachside luncheon. Aside from the excitement of the racing, the Whitsunday Islands are the jewels in the crown of the Great Barrier Reef. The 74 islands provide great protection for those interested in snorkelling and diving the coral which rims them. Guests can visit the fine, pristine white sands of Whitehaven Beach which consistently ranks as one of the world’s best beaches. After a short journey out to the reef, superyacht charter guests can experience the largest living structure on the planet, the Great Barrier Reef. August through December is the best season for experiencing the reef as the marine life is at its most prolific and the coral its most vibrant. 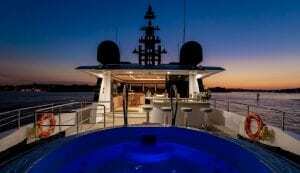 Contact Ocean Alliance to arrange your Audi Hamilton Island Race Week superyacht charter. Ocean Alliance is an accredited MYBA (worldwide yachting association) broker adhering to the highest of standards, transparency and support as part of a worldwide network of yacht charter professionals.